Crazy Week and Beanfields' Chip Winner! Better later than never right? That's my motto this week for sure! Craziness has begun! The winner of the Beanfields Chip give away is Heather from Where's The Beach! Heather said she looks for "Definitely flavor, crunch, and ingredients" in a chip. Congratulations Heather, you are going to get just that! 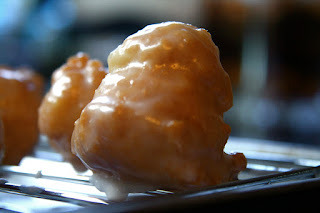 I made doughnuts for the boys this afternoon and they were eaten almost faster than they were made! It's a crazy week here with school starting on Monday. I have to finish shopping for the boys, I have to cut their hair (yes, I cut all 3 boys' hair), we have dr.'s appointments for vaccinations, two open houses to attend on the same day, regular work stuff, clients to train and well...the last bit of summer fun to enjoy! Hopefully a little more of what we had Sunday! 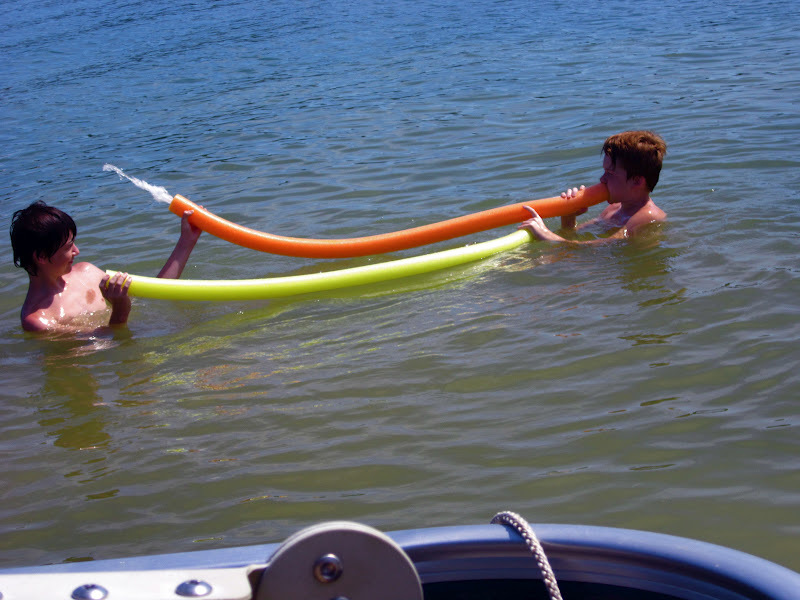 Oh and never underestimate the fun you can have with two dollars worth of foam noodles! 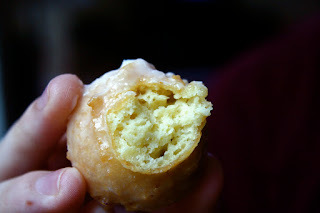 I will be in and out of blogging when I get a minute and hope to get the doughnut recipe at the least typed up and shared. They took a total of 30 minutes start to finish and they were definitely a crowd pleaser! Who else has a crazy week planned? I'm not wishing this week away yet though. I can't believe summer is over for us! Please do visit my blog about health, fitness, food & living. And if you like it, please do follow! YAY I'm so excited about the chips. 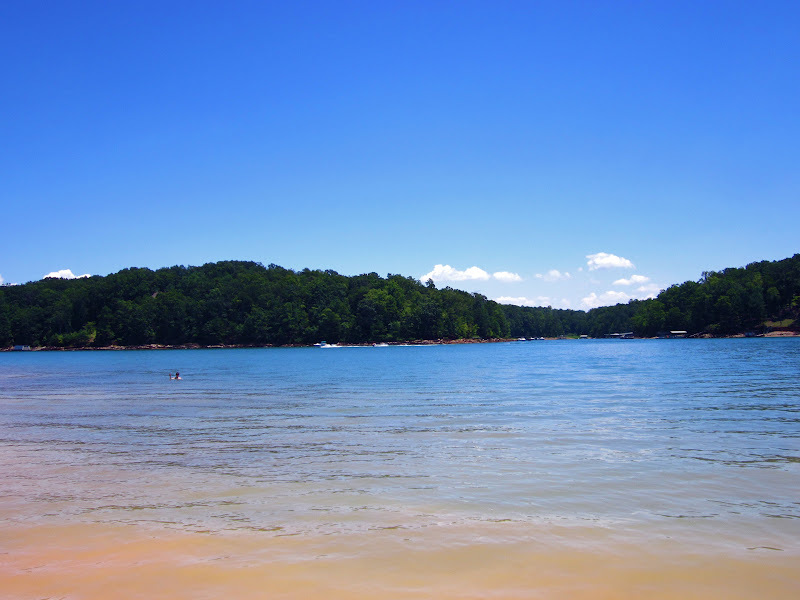 I'm so glad you guys got to enjoy the lake again. 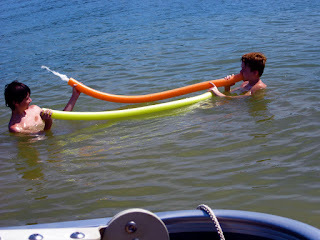 Jason taught my niece and nephew that trick about blowing water through those darn noodles. They thought it was hysterical. And, those foam noodles provide hours of entertainment, right? SO funny. Enjoy your last week with the boys before they start school! SOMEBODY got a talent with texture ova' here. And 'dat somebody be YOU!!! Congratulations to the big winner! And...those donuts look insane!! 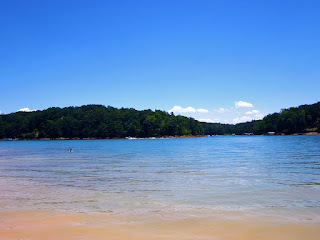 Man, I really need to get out and swim this summer...before it ends! Wait- I thought it was weird you were going back to school shopping already. School starts this early over there? Yikes. What is happening. This week has been a blur to say the least. The donut recipe might help me feel better though. Ha. Hugs!!!! Hang in there! Oh, my goodness those look amazing! This summer definitely flew - I can't believe it's already August! Oh my, I am behind. Are you guys looking for a new house? So exciting! And yes, can't believe it's already back-to-school time. When I was in school, we didn't start until after Labor Day. They start so much earlier now! Hanging Out In The Kitchen! My New Favorite Chip and a Giveaway! Gluten and Dairy Free Monkey Bread! Blueberry Protein Packed Microwave Cake! Gluten and Dairy Free Pina Colada Cake!